Staff and students celebrate their Scotmid grant. "It’s great that Scotmid operate a community grant scheme and we are very thankful that they have supported us." 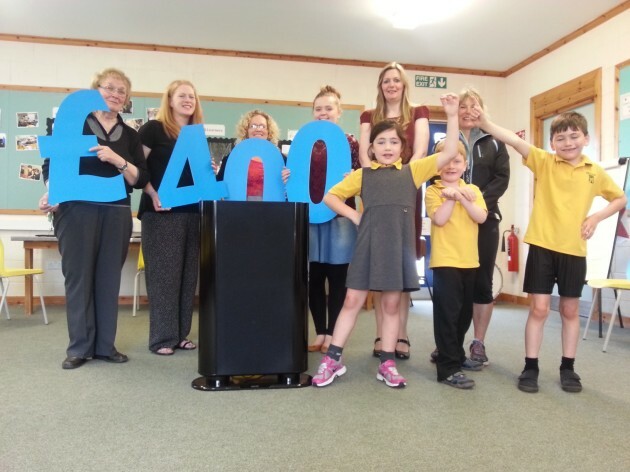 A primary school in Balloch has become the proud owner of a new sound system thanks to a Scotmid community grant. The grant of £400 was awarded by Scotmid’s North Regional Committee as part of the organisation’s community grant scheme. The new speaker, which is portable, is set to benefit both the school and the local community, and will be used for performances in the school hall and throughout Balloch.